Ensuring your employees are in an environment conducive to efficiency and productivity is important; one of the best ways to accomplish this is to hire an experienced cleaning contractor. Steelo, LLC in Bridgeton, MO, offers unmatched commercial cleaning services for businesses throughout the St. Louis metropolitan area. From landscaping and grounds maintenance to office cleaning and janitorial services, this cleaning contractor is the one you want managing your property. Keeping your property clean takes more than wiping down the coffee station and emptying trash cans at the end of the day. Steelo knows this and offers diverse options to bring their cleaning services past the ordinary. Their services include custodial, preventative maintenance, and engineering services. Whether you’re interested in their mechanical and electrical renovations or a fan of their recycling practices, you can trust that their skilled specialists will work hard for your satisfaction. Be sure to ask about their maintenance programs to ensure you get the cleaning services you need when you need them. 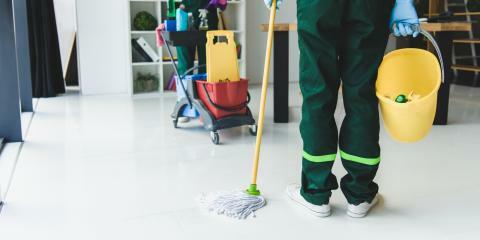 This cleaning contractor believes in using environmentally friendly products, getting the job done right, and hiring professionals everyone can count on. Employees go through extensive background checks and quarterly skills and safety training to ensure they’re trustworthy, as well as capable of doing their job to the best of their ability. When you’re looking for expert cleaning services that go beyond the redundant dusting and trash collection services, you’re looking for Steelo, LLC. Call today at (636) 751-0096 or visit them online for additional information.